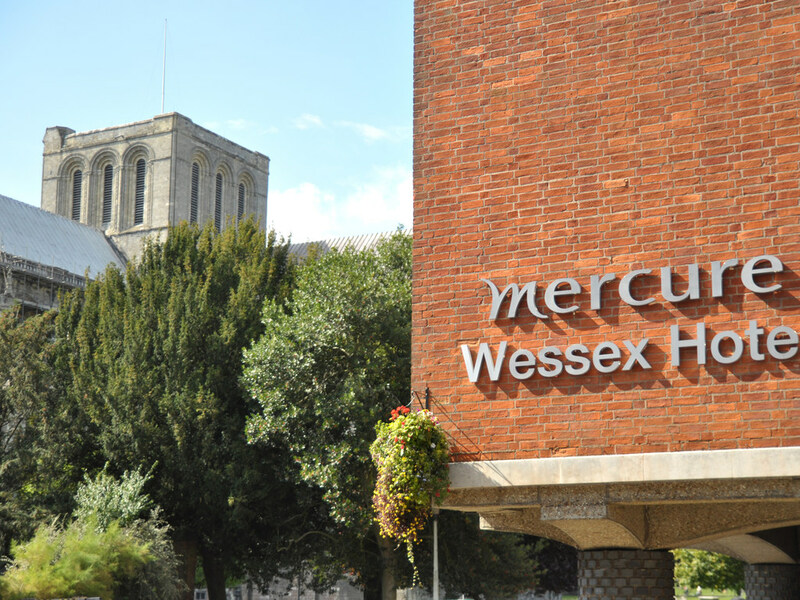 The 4-star Mercure Winchester Wessex Hotel is ideally located in the heart of the city. With Winchester Cathedral and many independent shops and eateries just a short stroll away, this hotel is perfect for city sightseeing and exploring. Guests can choose from classic, executive and privilege rooms, which feature luxurious extras like slippers, a robe and a Nespresso coffee machine. All 94 rooms boast luxurious yet comfortable décor and are perfect for leisure or business stays. Centrally located with stunning views over Winchester's magnificent cathedral, the hotel is close to the many attractions of this historic city. The steam railway, Marwell Zoo and the New Forest offer plenty to see and do. The hotel offers executive and classic bedrooms, some available with an interconnecting option. All rooms are non-smoking, have WiFi access and 24-hour room service. All bedrooms are equipped with a hair dryer, ironing facilities, flatscreen TV with international channels, complimentary toiletries and tea and coffee making facilities. The Wessex Restaurant offers the very best of British produce and features magnificent floodlit views of the Cathedral by night. Mycket trevligt och bra service. Närheten till alla kända platser. Stort rum bra sängar fräscht badrum, bra frukost med valmöjligheter. Saknade en safe box på rummet.